The US-led anti-terrorist coalition confirmed downing the Syrian government forces aircraft. The US-led international anti-terrorist coalition confirmed bringing down the Syrian government forces aircraft earlier, adding that the plane had been bombing US-backed opposition forces' troops. 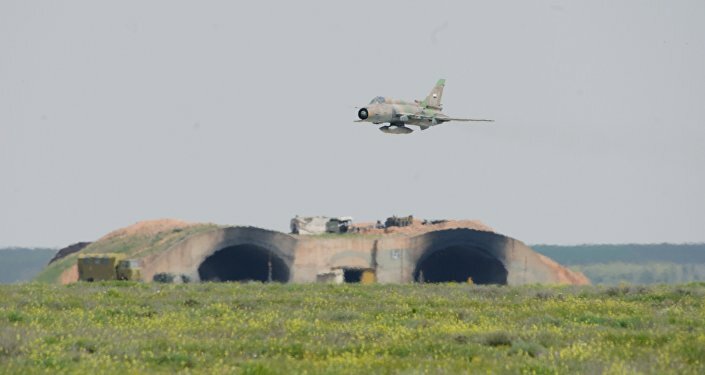 The coalition claims that it prevented the Syrian forces from advancing to the positions of the Syrian Democratic Forces (SDF) south of Tabqah by shooting down the aircraft. "At 6:43 p.m., a Syrian regime SU-22 dropped bombs near SDF fighters south of Tabqah and, in accordance with rules of engagement and in collective self-defense of Coalition partnered forces, was immediately shot down by a U.S. F/A-18E Super Hornet," the statement read. The Coalition headquarters said it contacted Russian representatives to de-escalate the situation after the attack. Syrian Arab Army announced earlier that the US-led coalition had brought down its aircraft in southern Raqqa countryside. “Our aircraft was downed at lunch time today near the [Syrian] city of Raqqa, when it was fulfilling its mission against Daesh,” the ministry said in a statement.